Join City Club for a hosted discussion of medical Marijuana today. Our presenters will include a state legislator, a grower/proprietor, a physician and a patient. They will talk about the pertinent legislation - its strengths and potential need for change, the growing process and legal requirements, the day-to-day issues of running a dispensary operation and challenges to physicians whose patients have a high potential of benefiting from medical marijuana. Board Member Kay Landen will facilitate the discussion. Board Member Grant Van Der Jagt will offer introductory comments. Each participant will have an opportunity to spend about 10 minutes explaining their role(s) and the issues they have and are facing. Then the participants will have a short time to dialog among themselves regarding issues and potential solutions before opening the questions and answer period. Following the Q&A session, each participant will have an opportunity to offer brief closing comments. State Senator Nancy Spence is a Republican member of the Colorado Senate from Arapahoe county. She was elected to the Colorado House in 1998 having served many years on the Cherry Creek Schools Board of Education. She was elected to the Senate in 2004. Her legislative responsibilities include membership on the Senate Education Committee, Transportation Committee and the Legislative Council. She currently serves as Senate Minority Whip. In the 2010 Legislative Session, Senator Spence acted as the co-prime senate sponsor of two medical marijuana bills – one to regulate the doctor/patient relationship and the other to establish a regulatory framework for the use and sale of medical marijuana. Both bills are now in state statute. Senator Spence is married to Peter Spence, an Englewood Dentist. She is the mother of 4 and grandmother of 6. Josh Stanley owns dispensary Budding Health, Let it Grow Hydroponics and Organics and Stanley Productions. Josh Stanley grew up in Oklahoma and studied education at Colorado State University. He has counseled troubled teen at an alternative High School in Fort Collins and implemented a wilderness survival program which is still used by alternative high schools in northern Colorado. For many years, Josh owned a successful mortgage company in downtown Denver. Mr. Stanley is the owner of a hydroponic and organic garden retail store in downtown Denver and is the owner of Budding Health, one of the first and largest medicinal cannabis wellness clinics in Colorado. Budding Health has largely been considered a standard by which the State of Colorado wishes cannabis centers to conduct business. Josh has been a spokesperson for the medical cannabis movement in Colorado. He is Vice Chair of the Medical Marijuana Industry Group. Paul Bregman, M.D. came to Denver in 1987 and has served Chief of Mammography at Denver Health Medical Center. He was instrumental in bringing mobile mammography to the City and County of Denver. In 2007, he began performing medical cannabis evaluations at The Hemp and Cannabis Foundation. He trained under Dr. Thomas Orvald (a retired cardio-thoracic surgeon) at the foundation. Dr. Bregman is a member of the American Academy of Cannabinoid Medicine. 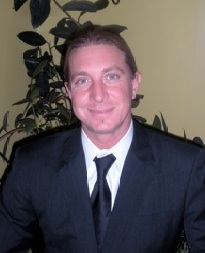 He has evaluated over 2,500 patients and is a sought after speaker and consultant in the medical cannabis field. He views medical cannabis as a developing subspecialty within the practice of medicine. LeeAnn Weller is a professor of Theater and Film at the University of Colorado. She has worked in Theater, Opera, and on touring Broadway musicals as both Stage Manager and Production Manager for over 18 years. LeeAnn was diagnosed with Multiple Sclerosis in 2002 while living in Dallas, Texas. After visiting Denver in 2006 and observing the political action and changing perception of Medical Marijuana, she began to apply for jobs in Denver to seek relief of the symptoms of both MS and the side effects of the prescription drugs used to manage her symptoms. LeeAnn’s neurologist wrote her prescription and she received her card in 2009.